MB BS, FRACS, FRACP, FRCS, FRACO, FRCOphth. Associate Professor Justin O’Day completed his Bachelor of Medicine and Surgery at the University of Melbourne. Having become a fellow of the Royal Australian College of Physicians, he completed a residency in Ophthalmology at the Royal Victorian Eye and Ear Hospital, Melbourne. Further training was undertaken at the Sydney Eye Hospital and in London at: St Thomas’ Hospital; the National Hospital, Queen Square; and Moorfields Eye Hospital. 1984-1997: Head of General Eye Clinic at St Vincent’s Hospital. 1991-1997: Head of Neuro-Ophthalmology Clinic at St Vincent’s Hospital. 1992-2008: Head of Neuro-Ophthalmology Unit at the Royal Victorian Eye and Ear Hospital (RVEEH). 1997-2006: Chairman NH&MRC working party for development of Diabetic Retinopathy Guidelines – 1st and 2nd Editions. 1998-2010: St Vincent’s and Mercy Private Hospitals Board Member. 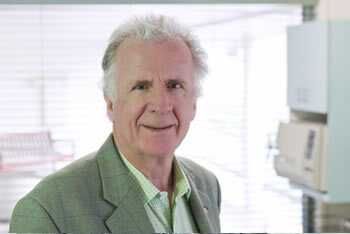 2002-present: Associate Professor, Department of Ophthalmology, Melbourne University. 2005: Awarded an AM in the Australia Day Honours for service to medicine. 2008: Awarded the Eddie Donaldson Medal, Sydney Eye Hospital Alumni Association. 2009: Awarded the College Medal, Royal Australian and New Zealand College of Ophthalmologists. Associate Professor O’Day has worked extensively overseas, including research in onchocerciasis in Sudan, Ecuador and Venezuela, and teaching ophthalmologists in Myanmar, Cambodia, China and Vietnam. He has published in over 80 peer-reviewed ophthalmology journals, mainly in retinal disease and neuro-ophthalmology. His special interests at Peninsula Eye Centre include medical retina and neuro-ophthalmology.